When it comes to music, instruments and microphones play a major role. However, the absence of a microphone or vocal preamp can make all of it worse. A vocal preamplifier plays a vital role in determining what the final output will sound like.Thus, musicians seek the best vocal preamp under 1000to boost not only their voices, but also their instruments. Preamps can either have a single channel or multiple channels. While the single-channel one only does the job of pre-amplifying microphones and vocals, a multi-channel one can aide in making the musical devices sound better. Other than the single and multi-channel ones, some preamps also have an in-built A/D convertor. 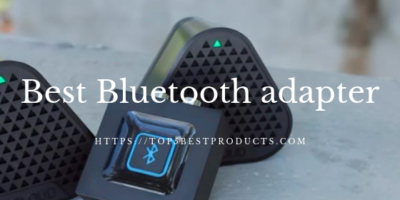 This can be useful for connecting it directly to a recording device. Some also have a hi-Z Direct Input for recording electric instruments like guitar or others. Mainly, there are 3 types of vocal preamps – tube, solid state, and hybrid. Tube preamps add airy and open highs in addition to deep bass as well as warmth in the mid range using thermionic tubes. Solid state preamps, on the other hand, perform efficiently at high gain levels and even produce the minimal distortion, thanks to its transistors. Hybrid preamps showcase attributes of both tube as well as sold state preamps. Most musicians consider Solid State Logic Alpha VHD as the best vocal preamp of all. As the name suggests, this device comes with Variable Harmonic Drive; it utilizes a 100% analog signal to produce rich harmonic distortion. VHD produces either second or third harmonic distortion or a mix of both to the source as one increases the input gain. Alpha VHD has 4 channels that come in a compact 1U format. When one increases the gain, to an all-time high, the distortions become more paramount. On the other hand, on low gain, it delivers touch of transistor edge or valve-style warmth. In addition to the above, the Alpha VHD also has the following features Hi-Z switches for microphone and electric instruments, XLR inputs/outputs on its rear panel, 48 volts of phantom power, VHD controls and input/output for each section, 20dB pad switches that will light-up as an indication when overloaded. Solid State Logic Alpha VHD, a superior preamp, delivers perfection although its price can come as a disadvantage. The API 3124+, another reliable 4 channel vocal preamp,can deliver up to 65dB of gain to a+30 dBm output clip level. It houses a 20dB pad switch that influences both the hi-Z as well as the mic. Musicians can easily amplify a low-level input such as a bass or a guitar without a direct box or a matching transformer as the hi-Z front panel can go directly into the op-amp. The 3124+ can also play high-level inputs such as a keyboard owing to the superior hi-Z input going up to +20dB. One of the reasons for 3124+ to make it in the best vocal preamp under 1000 list is the presence of a RE-115 K mic input transformer. Other features of the 3124+ include 48V Power Switches, Polarity Switches, and more. The API 3124+ has an XLR connector as the rear output.With the overall features,this model can be a noteworthy investment. The Art TubeOpto 8, considered by many as the best vocal preamp under 1000,presents an 8 channel option to users. 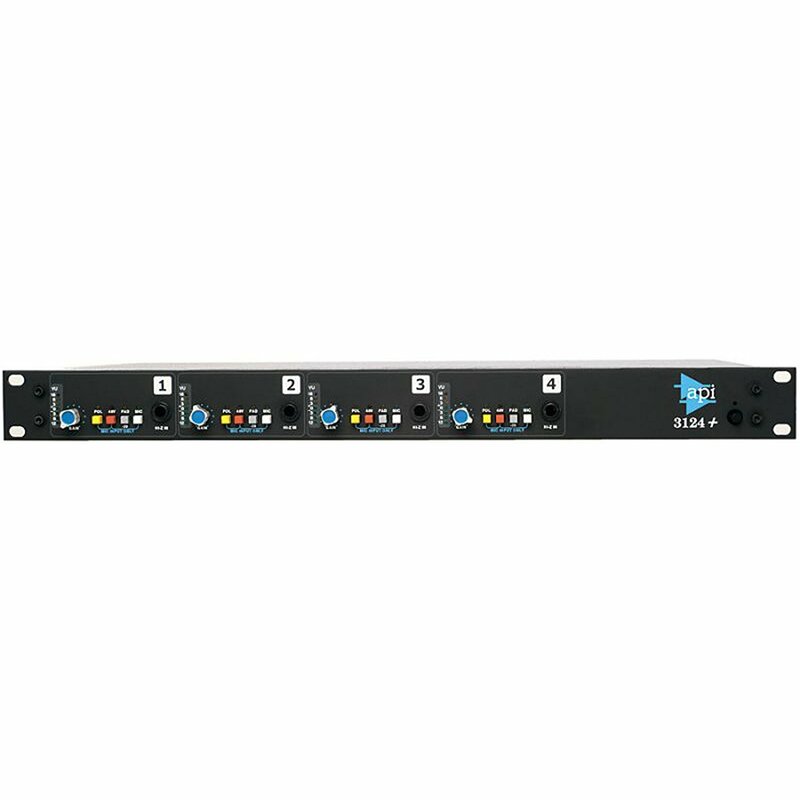 Its ADAT input/output connectors can provide its benefits for an entire band recording. These 8 channels have a mic preamp of Class A vacuum tube with balanced XLR inputs or balanced ¼” phone, and 70dB of gain. Its built-in world clock connectors can provide their application to synchronize all digital equipment. With a lightpipe, one can easily capitalize on the 8 channels with their ADAT-equipped audio device. 8 1/4″ TRS Balanced Outputs. Each channel with input gain and output level controls. Front panel hi-Z instrument line inputs. Moreover, each channel comes with phase flip, input pad, and low frequency roll off switches. The affordable Art TubeOpto 8 with its abundant features makes it to number 3 in this vocal preamp reviews list. With its 8 channels, the True Systems Precision 8 becomes one of the worthy devices to get features in thebest vocal preamp list. While users can link inputs 1 and 2 in an M/S configuration, inputs 7 and 8 can deliver line level signals when used as a direct box. The TRS and a DB-25 are balanced outputs while the latter is programmed like a TASCAM DA-88. Housed in the front panel are polarity switch, +48V switch, level controls, rotary control that showcases the range of metering. Each channel in True Systems Precision 8comes with phase reverse. Also, there is five-segment level indicator with select-able peak reference and peak hold feature besides the in-built mid/side decoding for stereo image control. True Systems Precision 8, although a bit expensive, integrates all the top-notch features to be the best vocal preamp. As you’re looking for the best vocal preamp under 1000, here’s another choice for you. 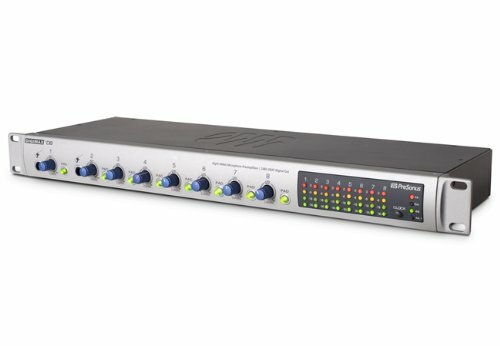 The Presonus DigiMax D8also presents the option of 8 channels. Its lightpipe-equipped system integrates a 24-bit/48kHz DigiMAX D8interface from the house of Presonus. Incorporated with 8 Class A XMAX mic preamps, the DigiMAX D8 delivers crystal-clear sound on the front. In addition, 8 analog direct outputs can connect a signal through to an external device. While a number of shelf op preamps run on power rails of 10-18V, the DigiMax D8 runs on an astonishing 30V. Presonus DigiMax D8 comes with BNC word clock input to provide external sync and 20dB pad and with direct outputs with each channel. Therefore, this device delivers a wide range of features for the preamp geeks and that tooat an affordable price tag. 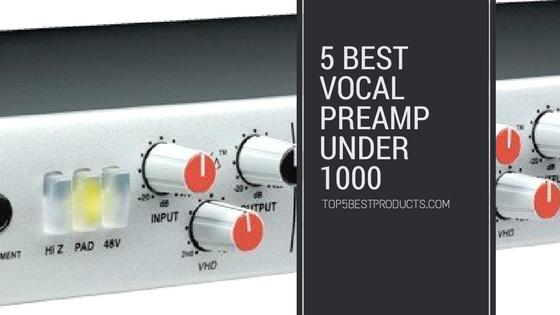 These were 5 best vocal preamp under 1000 that have an exceptional performance. 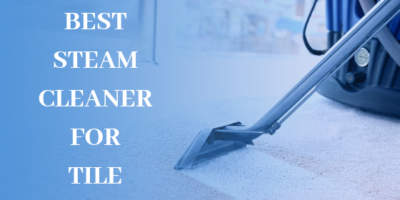 With high to low price ranges, consumers have the option to select one based on their budget and features required.